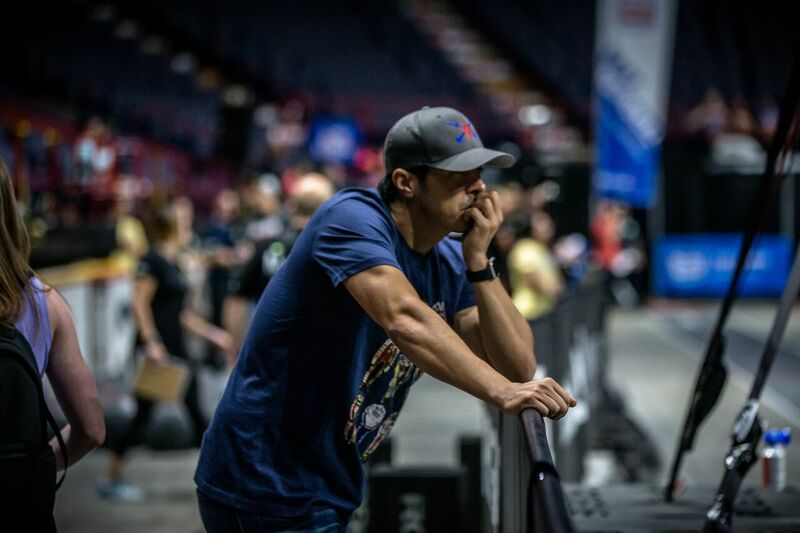 Every year the Reebok CrossFit Games coverage gets better and better, and we’ve just been treated to a very cool, in-depth article from Reebok HQ in which a writer tails Dave Castro for a few days during the first week of the 2017 Reebok CrossFit Games Regionals. Castro, of course, is the director of the Reebok CrossFit Games and has programmed every event of every CrossFit Games ever — he even hosted the first CrossFit Games ten years ago at his parents’ ranch in Aromas, California. Dumbbells are underused in the [CrossFit] community, and Coach Glassman is a huge fan of them. I always thought it would be cool to program an event that just uses dumbbells. After last year’s Games, the timing felt right. I decided right then that this year I would introduce the dumbbell into the Open, and program Regionals to be purely dumbbells. (…) While programming, I realized I could set things up so the entire Regionals competition required only one dumbbell weight. Using that same dumbbell weight across different movements highlights how much you can do with a single piece of equipment. Images courtesy of Maureen Quirk and Reebok.